Iceland, the land of fire and ice, is the perfect destination to view nature's raw power. A vast under populated island, it offers students a unique opportunity to appreciate how mighty forces shape the earth. Geysers gush, waterfalls cascade, volcanoes rumble and glaciers grind their pathways through the mountains. Summer or winter, astounding scenery and a great range of cultural attractions guarantee visitors an unforgettable stay. School trips to Iceland offer a truly bespoke opportunity to enjoy geography which cannot be found anywhere else in the world. Students will be inspired to enjoy the natural landscape, piecing together the theory with the actual terrain providing valuable case studies and exam preparation. The Northern Lights, also known as the Aurora Borealis, are a spectacular natural phenomenon, often seen dancing around in the fantastic colours across the Arctic sky. 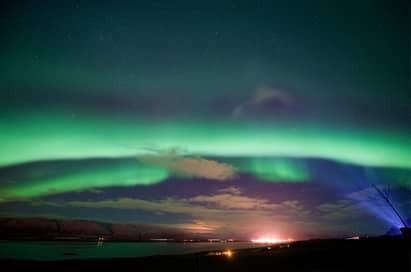 Northern Lights can be seen when certain weather conditions are fulfilled, usually during crisp, cold and very still evenings. 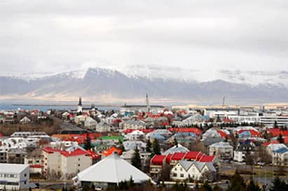 The museum offers a comprehensive historical overview of Iceland's past, from the days of the Settlement right up to the birth of the Republic in 1944. Located in the former warehouses of the Port of Reykjavik, this museum features exhibitions from the Erró Collection, as well as from general collections. Hólmavík in the Strandir region is where you can visit the interesting museum of Sorcery and Witchcraft dedicated to the 17th century witch hunts. The museum has been the responsibility of one man, Thordur Tomasson. He started the collection of the artefacts and houses of the open-air museum and has not stopped yet. The pride of the museum is the church, which was consecrated in 1998. It depicts the most common church architecture of the past and all its possessions belonged to older churches, which have disappeared. Hallgrímskirkja (Hallgrim's Church) in Reykjavik is the tallest and most striking church in Iceland. A Lutheran cathedral, Hallgrimskirkja is named after an Icelandic poet and clergyman, Hallgrímur Pétursson (1614-74), the author of the Passíusálmar and other works. He was one of the most influential pastors during the Age of Orthodoxy. The Pearl is a landmark building in Reykjavík. Former hot water storage tanks have been reused and redesigned. One of the water tanks holds the Saga Museum which tells you about the Icelandic sagas as well as other historical events. It also shows you how Icelanders used to live and how they live now. This is inside Petra's Stone Museum in the tiny town of Stöðvarfjörður. It's probably the number one tourist attraction in the area, and is the house of Petra Steinasafn, who has collected rocks and stones for most of her life, and filled her house with them.